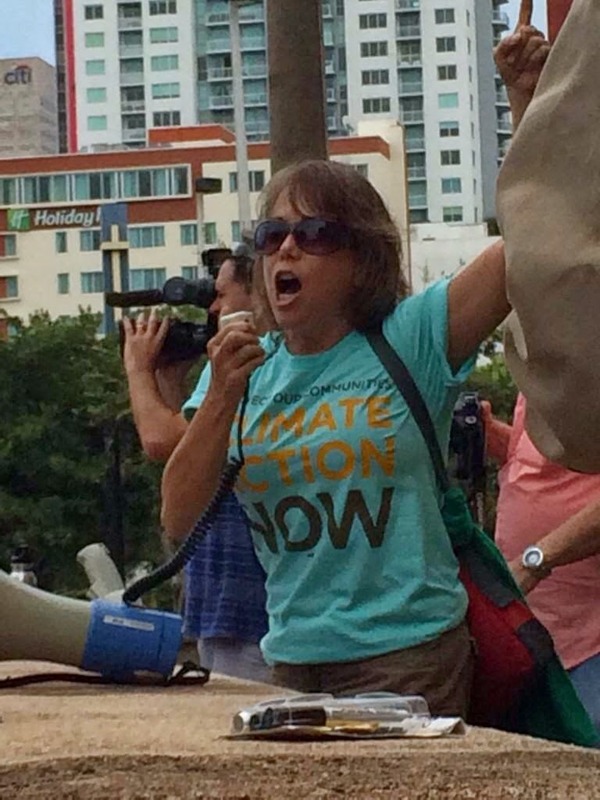 On Sunday, Miamians took to the streets in solidarity with the NYC People’s Climate March. More than 100 people gathered downtown at the Freedom Tower and marched one mile through Museum Park to Biscayne Bay. The crowd, wearing T-shirts saying Climate Action Now, held hand-made signs and banners and chanted in English and Spanish. 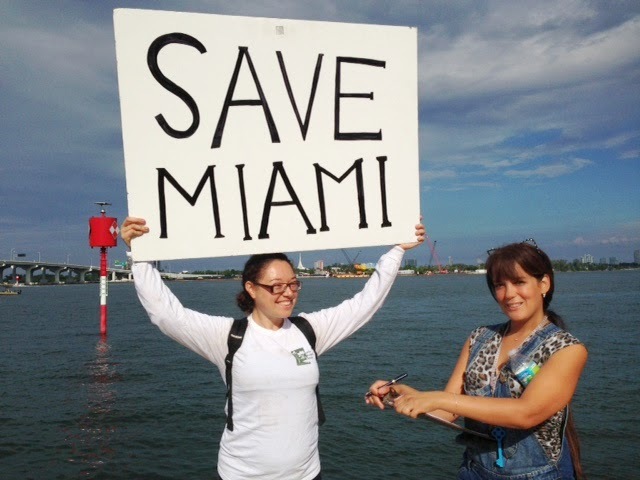 The event was organized by the Sierra Club Miami Group, Urban Paradise Guild, 350 South Florida and others. 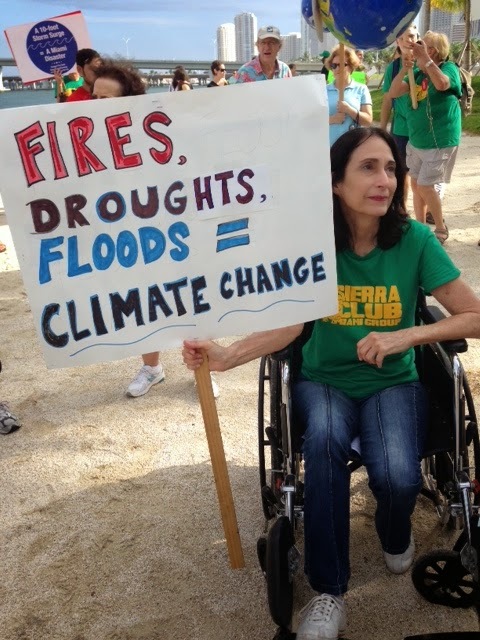 The march's message was that saving Miami from the impacts of climate change demands national and global action to curb carbon. Pinecrest Mayor and Miami-Dade League of Cities President Cindy Lerner addressed the crowd saying people must alert their elected officials. “If you live in a city whose mayor is not standing beside me, you need to have a conversation with that mayor,” said Lerner. President Obama singled out Miami in his speech to the United Nations Climate Conference Tuesday. “Along our eastern coast, the city of Miami now floods at high tide," he said.